Upping its ante, e-Commerce giant Amazon on Wednesday said it will invest $2 billion (over Rs 12,000 crore) in India to expand business, a day after its largest Indian rival Flipkart announced USD 1 billion in funding. New Delhi: Upping its ante, e-Commerce giant Amazon on Wednesday said it will invest $2 billion (over Rs 12,000 crore) in India to expand business, a day after its largest Indian rival Flipkart announced $1 billion in funding. Flipkart said it has raised over Rs 6,000 crore from existing and new investors, the largest funding in the nascent, yet rapidly expanding Indian e-commerce sector. Amazon, which launched its marketplace in India last year, said the country is one of its fastest growing markets and is on track to touch $1 billion in gross sales. It will invest an additional $2 billion to support its rapid growth and continue to enhance the customer and seller experience in India, Amazon said in a statement. 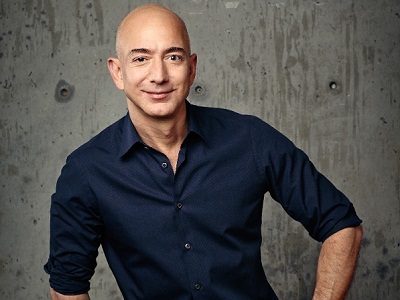 "After our first year in business, the response from customers and small and medium-sized businesses in India has far surpassed our expectations," said Jeff Bezos, founder and CEO of the US-based Amazon.Com. The company sees huge potential in the Indian economy and for the growth of e-commerce, he added. "With this additional investment of $2 billion, our team can continue to think big, innovate, and raise the bar for customers in India," he said. At current scale and growth rates, India is on track to be Amazon's fastest country ever to a billion dollars in gross sales, he said. "We have never seen anything like this," Bezos said. In India, Amazon sells over 17 million products across categories like books, apparel and electronics from a growing base of thousands of small and medium-sized businesses. Apart from smaller e-commerce portals, Amazon competes head on with Flipkart and Snapdeal. In the past few months it has raised the bar with introducing same-day delivery and ramping-up its logistics among others. Earlier this week, Amazon said it will open 5 new centres across India in addition to its two fulfilment centres (FCs) in Mumbai and Bangalore. The FCs will be set up in Delhi, Chennai, Jaipur, Ahmedabad and Tauru (outskirts of Gurgaon).This, it said, would help in faster delivery of products. With the addition of the five centres, Amazon's total storage capacity will almost double to over half a million sq feet.